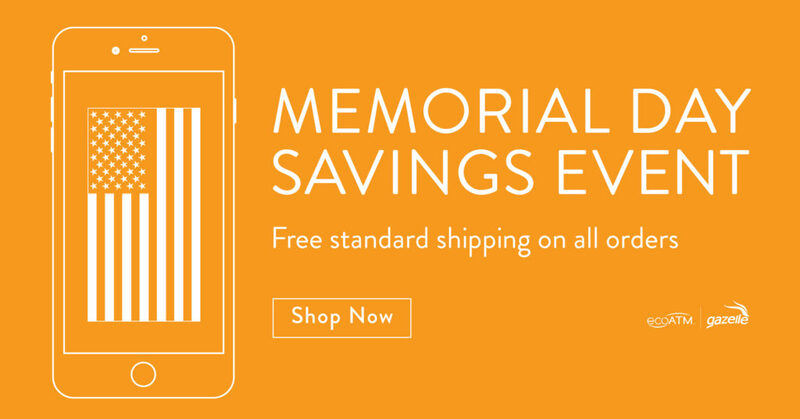 Gazelle The Horn > Gazelle News > Happening at Gazelle > FREE Standard Shipping for Memorial Day! 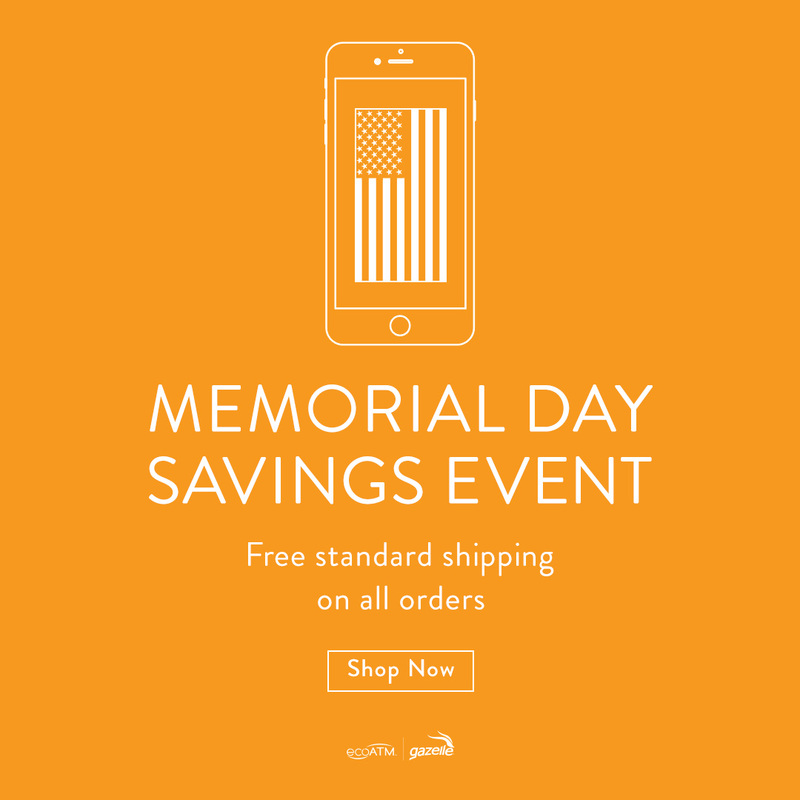 In honor of Memorial Day, Gazelle would like to extend FREE standard shipping on all orders! This includes everything in store, from iPhones and iPads to Androids and MacBooks. Click here to start saving now. Offer ends 5/29.